You heard right! Alex & Borble are coming back for an all-new adventure, but they’re not alone. On Tuesday, April 23rd Solitary Badger Entertainment will begin launching a 6-part weekly episodic series featuring the comedy duo as they go back to their roots in their homeland of Britain for what we are titling their Classical Adventures. 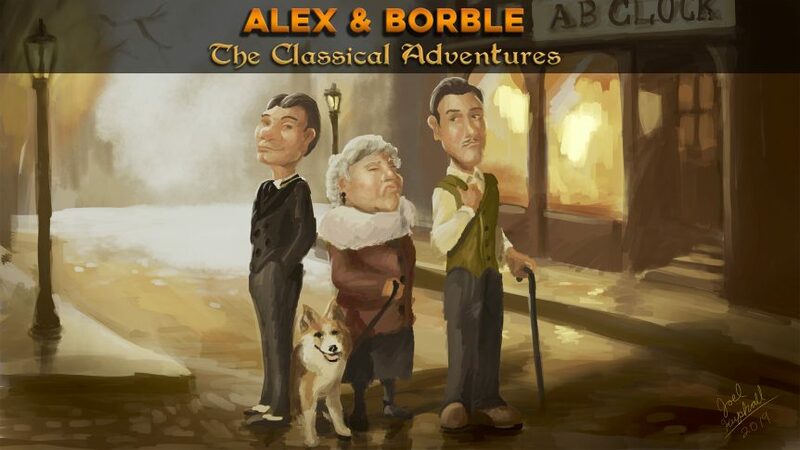 Instead of the stand-alone structure of Alex & Borble’s previous adventures this new series will have a continuing narrative with an improved level of production value including proper ambiance, sound effects, better sound quality overall and the introduction of a new character that you may already be familiar with. So get ready for some fast-paced comedy mayhem as Borble grapples with the unending perils of high society life in British aristocracy where winning the favor of stiff-nosed aunts is the only hope for maintaining stability in the family. Unfortunately for Borble, such a task may require desperate measures.